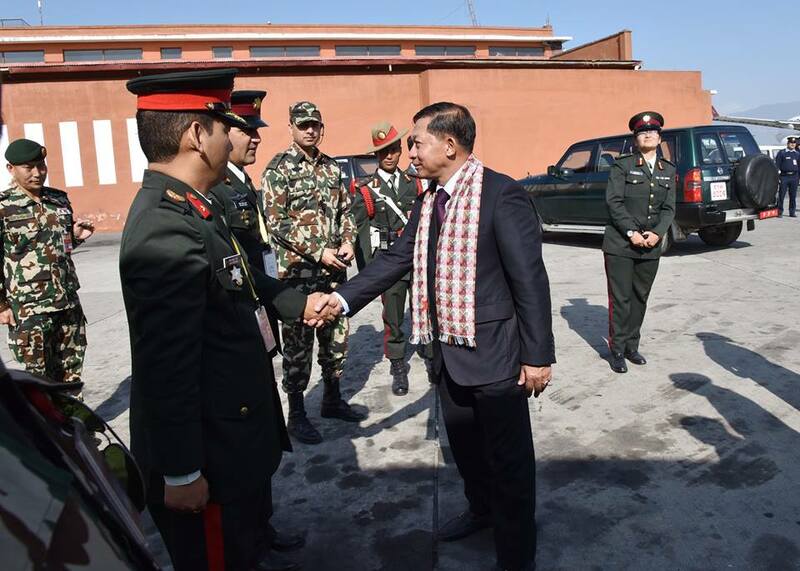 The Myanmar Tatmadaw goodwill delegation led by Commander-in-Chief of Defence Services Senior General Min Aung Hlaing, who was on a goodwill visit in the Federal Democratic Republic of Nepal at the invitation of Nepalese Chief of Army Staff Gen. Ranjendra Chhetri of the Nepalese Armed Forces, left Tribhuvan International Airport in Kathmandu this afternoon. 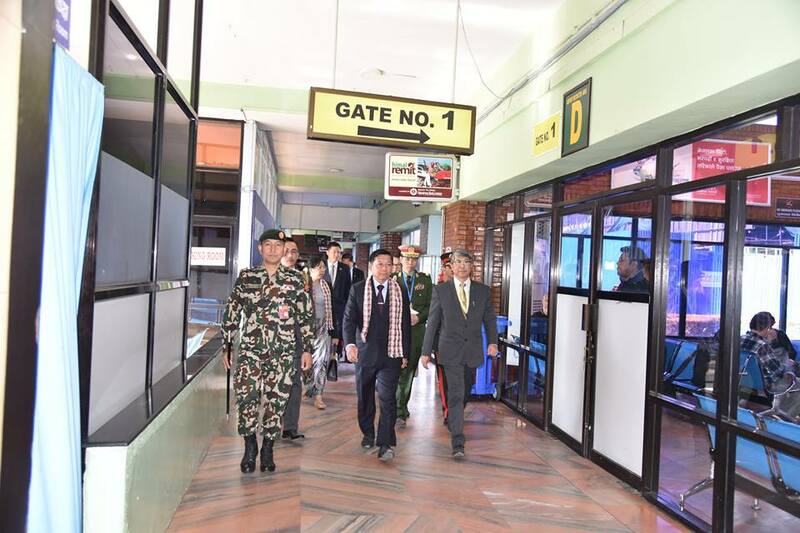 The Myanmar Tatmadaw good-will delegation was seen off at the airport by Lt. Gen. Hemanta Raj Kunwar, Chief of Staff of the Nepalese Armed Forces, and wife, Myanmar Ambassador to Nepal U Tun Nay Lin and wife, Myanmar Military Attaché (Army, Navy and Air) to India Brig-Gen Thein Zaw and wife, and officials. 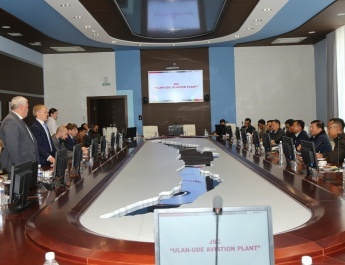 At the airport, the Senior General received a documentary photo album and a video of the trip from Lt. Gen. Hemanta Raj Kunwar. 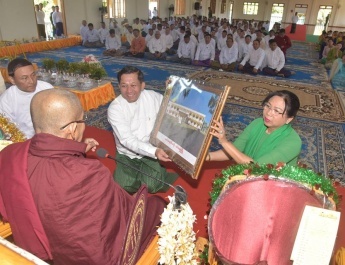 The Senior General and wife retuned gifts to him. 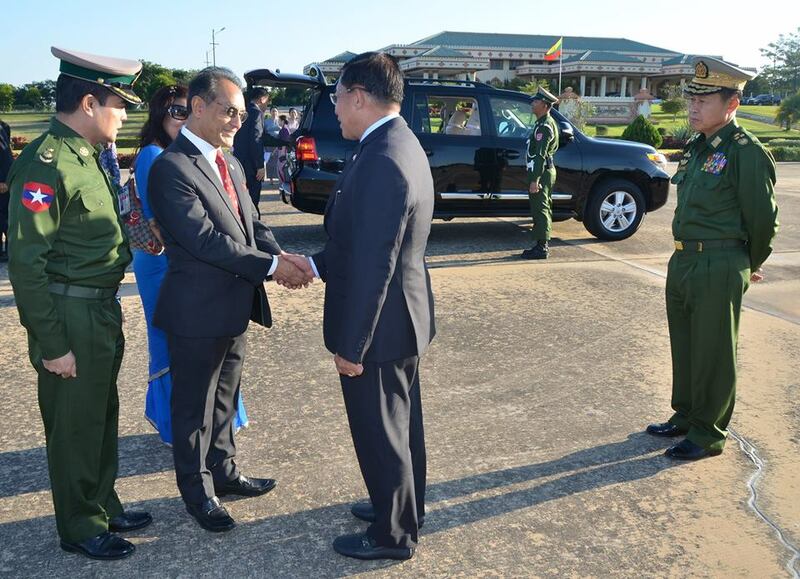 Next, the Myanmar Tatmadaw goodwill delegation led by the Senior General arrived back at Nay Pyi Taw Tatmadaw Airport this evening. 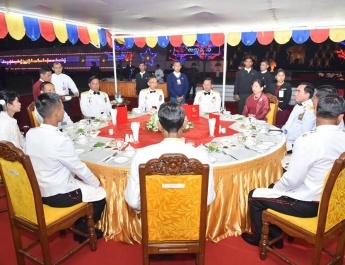 They were welcomed back by Deputy Commander-in-Chief of Defence Services Commander-in-Chief (Army) Vice-Senior General Soe Win, Chief of the General Staff (Army, Navy and Air) General Mya Tun Oo, Commander-in-Chief (Navy) Admiral Tin Aung San, Commander-in-Chief (Air) General Khin Aung Myint, senior military officers from the Office of the Commander-in-Chief (Army), the commander of Nay Pyi Taw Command, Nepalese Ambassador to Myanmar H.E. Mr. Bhin K Udas and wife, and officials.